Events of Our Childhood by Rosalee Pless; Michael Sword; Hawley Cemetery Survey; Dudley Family Bible Records; Mt. Zion Baptist Church Cemetery Survey; Stephens Cemetery Survey; List of Free Negroes in Botetourt County, 1804. 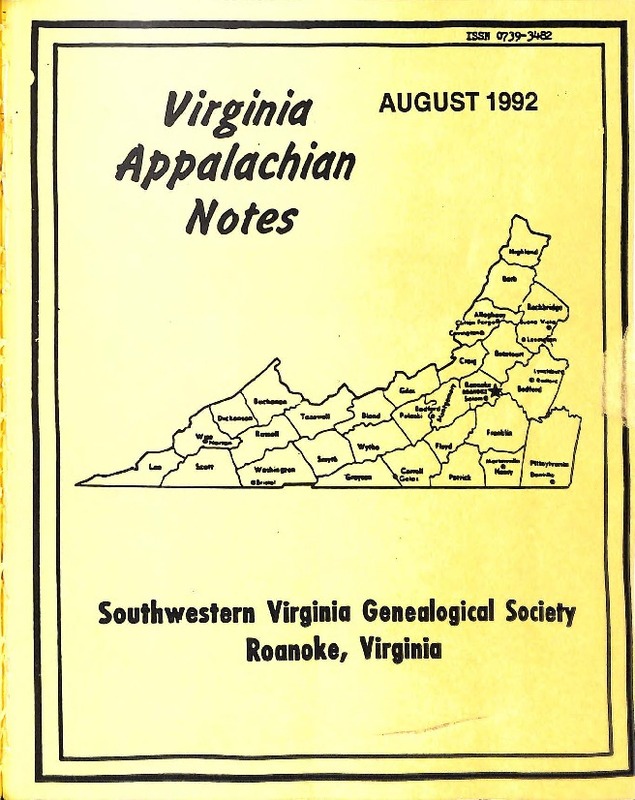 Southwestern Virginia Genealogical Society, “Virginia Appalachian Notes, Volume 16, Number 3,” Virginia Room Digital Collection, accessed April 19, 2019, http://www.virginiaroom.org/digital/document/VANv16n3.